Cambridge UK, 4 August 2017 – International architecture and design firm, NBBJ has unveiled designs for a new headquarters building for Abcam plc at Cambridge Biomedical Campus (CBC). 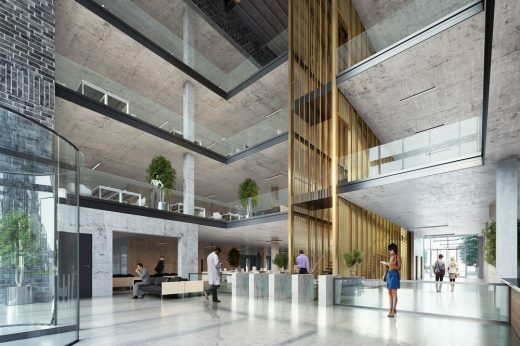 The 100,000 sq ft laboratory and office facility, is now under construction at CBC’s global healthcare village, which is being jointly developed by Liberty Property Trust and Countryside Properties. Abcam plc is a global leader in the supply of life science research tools providing antibodies, and other binders and assays to the research and clinical communities in over 130 countries. The new building will support Abcam’s aim to bring all business functions – laboratories, production and distribution facilities – into a single building to drive innovation and efficiencies that help advance scientific research and support the company’s continued growth. The state-of-the-art laboratory and office facility is the first to be built as part of phase 2 of the rapidly expanding campus. It will enable Abcam to bring three existing Cambridge facilities – and over 450 staff – together in one building when it relocates to the biomedical campus. 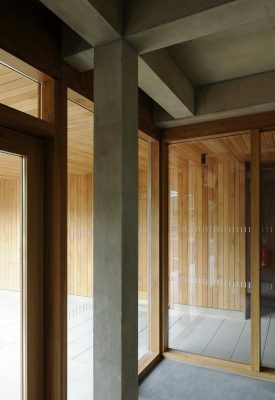 The exterior of the Abcam headquarters is characterised by distinctive gold vertical and horizontal brise soleil that reference the specialist research taking place within its walls, giving the building a distinct identity on the campus and marking it as a new gateway to this part of the CBC. 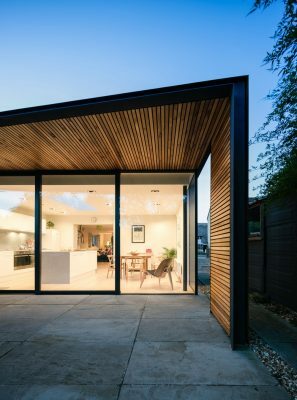 The expansive use of glazing allows views out to the surrounding countryside and is integral to presenting ‘science on show’. Based on the flat organisational hierarchy and interactive culture of Abcam, the interior design creates an open, connected, and collaborative workplace. Elegant feature stairs link staggered floor plates of office and laboratory wings, encouraging opportunities for social interaction between floors. The branding strategy uses geometric patterns to provide privacy for central meeting spaces and overall wayfinding within the building. 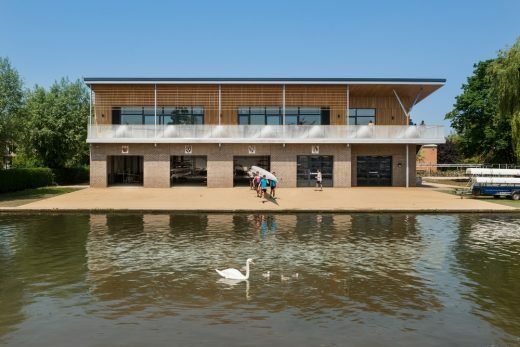 Hard and soft landscaping help to situate the building within the campus, and outdoor amenity spaces with integral cycle storage are provided for employees. Natural biodiversity will be enhanced through indigenous planting, provision of bird boxes, and landscape rainwater management using bioswales. Andrew Carrington, Managing Director of Countryside, said: “We are delighted to mark this significant milestone as Cambridge Biomedical Campus continues to grow as a centre of excellence, which is home to world-class research, healthcare, and innovation. “Our priority for Phase 2 of the campus masterplan was to create an environment that promotes and enhances communication and collaboration within the life sciences sector. Abcam’s arrival will strengthen the partnering and networking opportunities and ethos which already exist at CBC and which make it such a success. 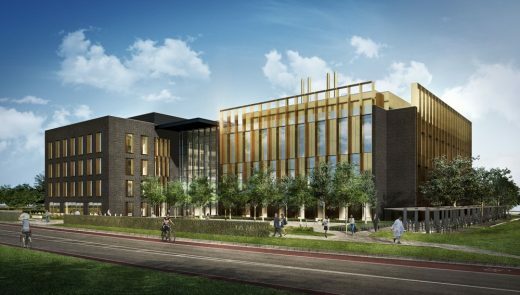 This environment will benefit not only those companies locating to the campus, but also demonstrate that Cambridge is the capital of UK life science, delivering new jobs and investment”. Construction of Abcam’s facility has been forward funded by Tesco Pension Fund and completion is expected in late 2018. 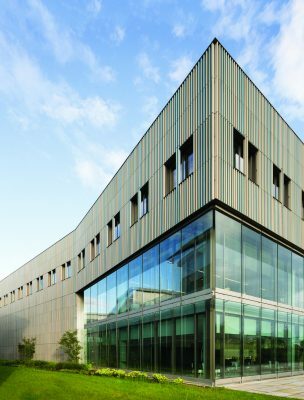 Cambridge Biomedical Campus, located two miles south of the city centre, is home to a unique combination of world-class biomedical research, patient care and education on a single site. 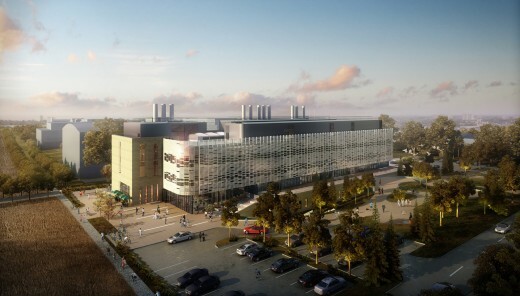 The 2,300,000 sq ft phase 1 extension to the campus has already been allocated to allow expansion for Cambridge University Hospitals Trust, The University of Cambridge, and the Medical Research Council’s Laboratory of Molecular Biology.